In the aftermath of the fatal shooting of an unarmed 15-year-old by police on Saturday night, Democrats in the state Capitol have pointed to relevant bills they say could prevent similar deaths. After a police officer fatally shot an unarmed 15-year-old in the Dallas area Saturday night, Texas lawmakers are considering whether pending bills could prevent similar deaths — or if any legislative solution is even needed. 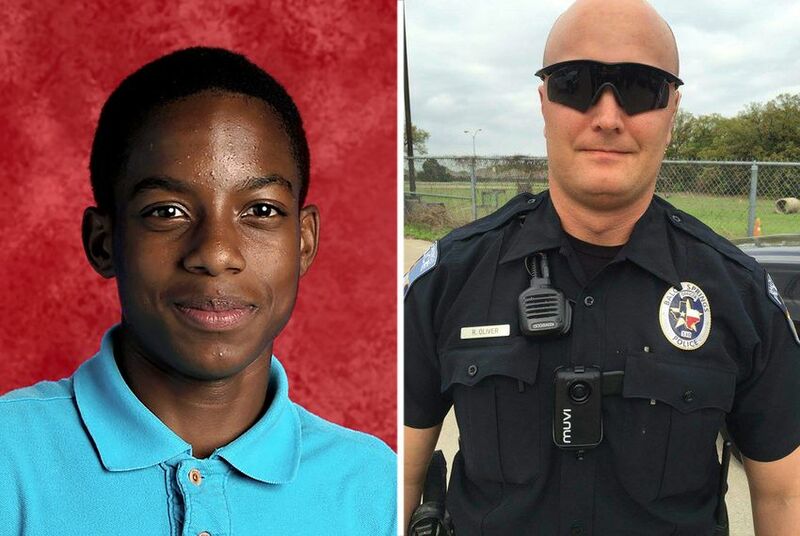 Jordan Edwards, a freshman at Mesquite High School, was sitting in the passenger seat of a car driving away from Balch Springs police when Officer Roy Oliver shot and killed him, according to a news release from the police department. Oliver and another officer had arrived at a house around 11 p.m. after receiving a 911 call about underage drinking at a party. When the officers were in the house, they heard gunshots from outside and ran toward them, police said. Originally, the department said the car Edwards was in was backing toward officers when Oliver shot, but after Chief Jonathan Haber watched body camera footage, he said during a Tuesday news conference that Oliver fired his gun as the car was moving away from them. No weapons were found in the vehicle. Haber then announced that Oliver had "violated several departmental policies" and had been fired. The lawyer for Edwards' family posted on Twitter late Tuesday night that Oliver was appealing his termination. The Balch Springs Police Department did not return calls placed by the Tribune on Wednesday. Since the shooting, Democrats in the Capitol have pointed to relevant bills that have faced obstacles as they have moved through the chambers. State Rep. Eric Johnson, D-Dallas, told the Tribune Wednesday that law enforcement agencies should be punished if they don't report officer-involved shootings, as House Bill 245 would mandate. The bill, which is stuck in the House Calendars Committee, is a followup to one passed last legislative session that requires all law enforcement agencies in the state to send a form to the Attorney General's Office with basic information on every police shooting. The new bill would push the law a step further to punish the agencies who aren't complying — though Johnson has conceded almost all are. Johnson said it's the only way to prove that there is a problem, particularly with unarmed people of color disproportionately dying during police encounters. A 2016 Tribune investigation into police shootings found that in 656 incidents where police shot at a person in Texas from 2010 through 2015, almost 17 percent of the people were unarmed. Of those where the race of the individual was known, almost half were black. But those numbers come from incomplete data, obtained by the Tribune through open records requests often returned with missing or redacted information. "We're not going to have a robust policy discussion on this ... without data that these aren't one-off situations," Johnson said. "There's going to have to be proof that there is a problem." On Tuesday, State Sen. Royce West, D-Dallas, asked to adjourn the Senate in memory of Edwards, touting the boy's academic and athletic accomplishments. "Members, I ask that we include in our prayers the Edwards family who has suffered a devastating loss. I ask that you also include a prayer for wisdom, a prayer for patience, tolerance. Include also a prayer for us to all attempt to gain a better understanding of those for whom we may feebly think have little in common with us," West said. State Rep. Garnet Coleman, D-Houston, said the Legislature had to do something. "It can't just be rhetoric," he said. Coleman's House Bill 2702, dubbed the Sandra Bland Act, in part would require officers be trained in de-escalation tactics and implicit bias. But the bill and its Senate companion have been stripped of many of their initial provisions on the long road through the Legislature. Earlier versions would have prevented police from arresting people for offenses that generally only have fines as a punishment and required counseling and more training for officers who racially profile drivers. As an example of what he sees as a disparity between legislative actions to benefit police and those to benefit civilians, he noted the Senate's passage of a bill that would fund bulletproof vests for all officers on patrol in Texas. "That's concrete. That's real," Coleman said. "We have to have the same levels of things for people that are victims. It has to be concrete and real results." State Rep. James White, R-Hillister, said he doesn't currently see the need for legislative action in response to the shooting. Law enforcement has appropriately handled the incident so far, he said. "That's how we should do things," White said.